Yes, I'm the guy who usually doesn't watch more than 3 movies a year – but one local couple's efforts may change that. "My fiancee, Nicole Boivin, is really into movies," said Craig Stadler, proprietor of the Erie Movie House. "When we moved to Erie from California three years ago, we would joke and dream about opening the Plaza Theater on Pittsburgh Ave. We looked into it a few times, and it wasn't feasible. Eventually, we decided to do it on a smaller scale." When the 2,000 square-foot Erie Movie House (capacity 30) opens for the first time on Saturday, Nov. 22, moviegoers will be treated to a 16' by 9' screen and four rows of stadium seating in honest-to-goodness movie chairs. 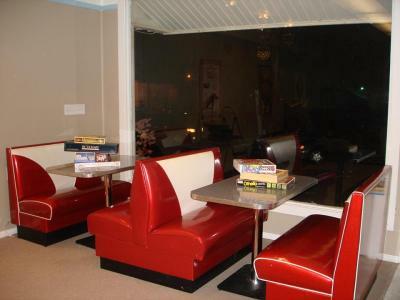 There are also booths and couches for socializing or board-gaming in the lounge. "I really like the 80s movie theater vibe and wanted a place with that tone as well as a small arcade," Stadler said of the 1980 Stern "Galaxy" pinball machine, 8-foot air hockey table, and Ultracade arcade machine, which plays 250 different classic games. Popcorn, soda, and candy are also available, as is the venue itself, for private parties and the like. Alcohol, said Stadler, is a possibility in the future, but for now, the focus is on a more family friendly environment, as well as creating both unity and diversity in the local film community. "We want to help bring artists – filmmakers especially – together, and provide a sense of community, while also providing a unique, enjoyable experience," he said. "We'd like to offer an alternative to Tinseltown or the Waterford Drive-In that doesn't just play new Hollywood releases. 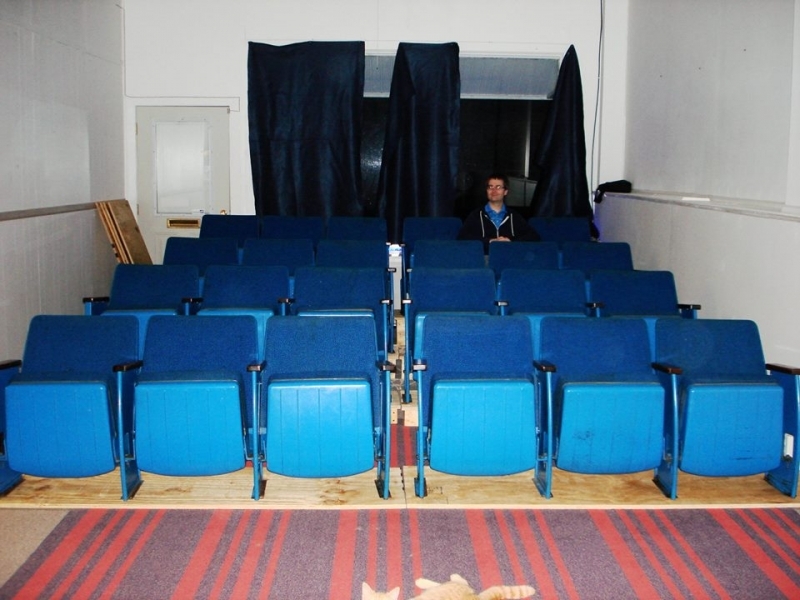 We hope to have a place that is exciting for avid movie fans, and casual movie fans." Erie Movie House is located at 3424 West Lake Road, in Erie. The free opening takes place on Saturday, Nov. 22 from 2:00 to 10:00 p.m., where The General (Keaton), Charade (Grant/Hepburn), and Night of the Living Dead (Romero) will be screened. For more information, visit their Facebook page, call (814) 636-1662, or email eriemoviehouse@gmail.com.